Ignoring cryptocurrency's progress is like ignoring the inevitable of the internet says Benedict Evans, a vc at Andreesen Horowitz, a top-tier venture capital group of the world. 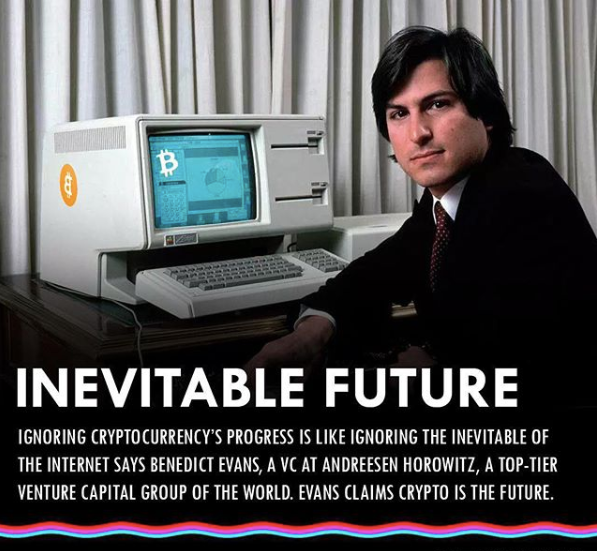 Evans claims crypto is the future. However, according to Evans, if investors focus on the failed projects and fraudulent operations in the exponentially growing cryptocurrency sector, it would be like dismissing the internet in 1999 based on the lack of progress of Usenet, Cuecat, and Boo.com. “Crypto today has a lot in common with both the internet in 1993 and the internet in 1999. The similarities are there for sure! In our last Algorithmic Curation Round, consisting of 348 contributions, your post is ranked at #77.